Energy-efficient 9-watt U.V. light. Flying insects are drawn to the U.V. light and trapped on the web-like adhesive glue card on the Flyweb Light Trap. Its compact size makes it perfect to hide while it still does the job of ridding your space of flying pests. 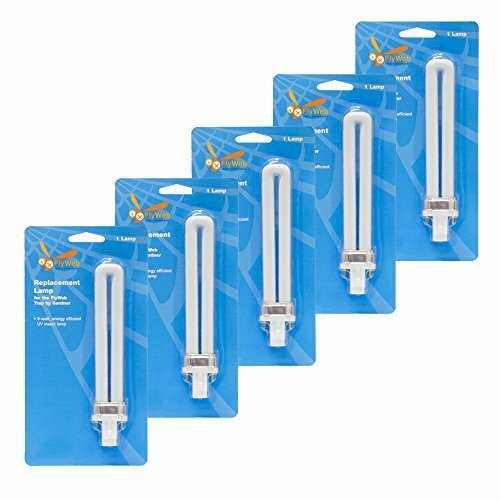 Replacement Lamp does not include Flyweb Fly Light. If you have any questions about this product by Jarrod's, contact us by completing and submitting the form below. If you are looking for a specif part number, please include it with your message.